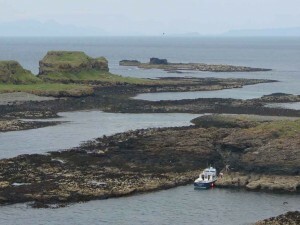 Shaped like a battleship, protecting the western approaches to Mull, the is the largest island in the Treshnish archipelago. 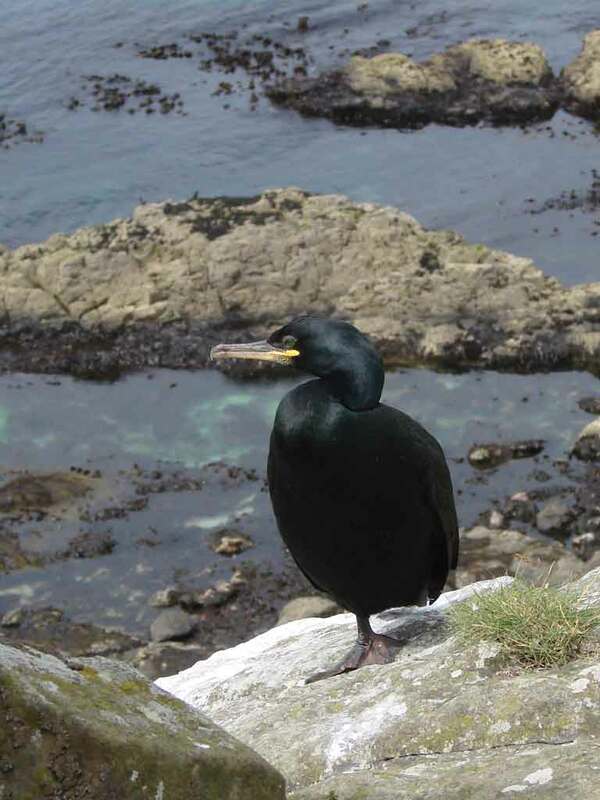 Like Staffa, Lunga is of volcanic origin and was once described as 'a green jewel in a peacock sea'. Populated until the 19th century the island still bears the remains of black houses. 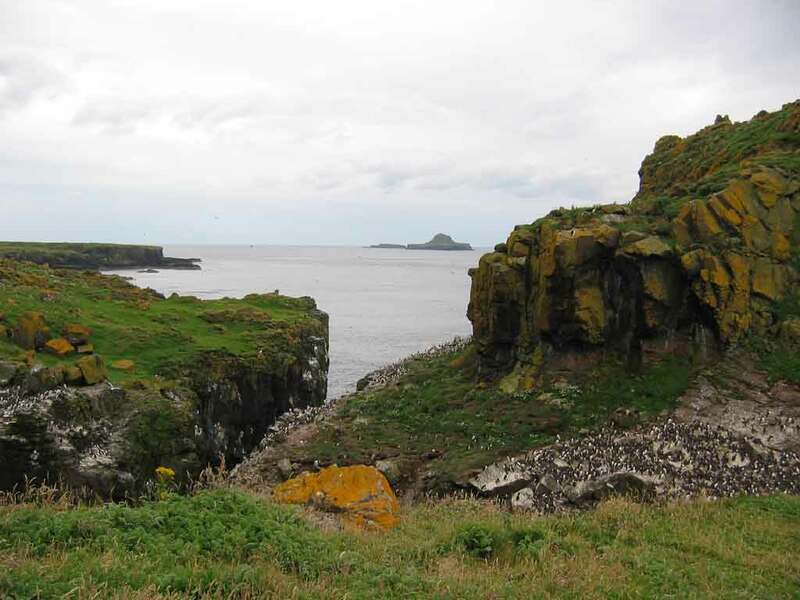 To the northeast of the iIsle of Lungasland lie the remains of the ruined village, which was abandoned in 1857. Lunga is designated a Site of Special Scientific Interest because of its abundant plant life. Many rare and endangered plants are native to the island. The flora includes Primroses, Birdsfoot Trefoil, orchids, Sea Campion, Thrift and Tormentil. 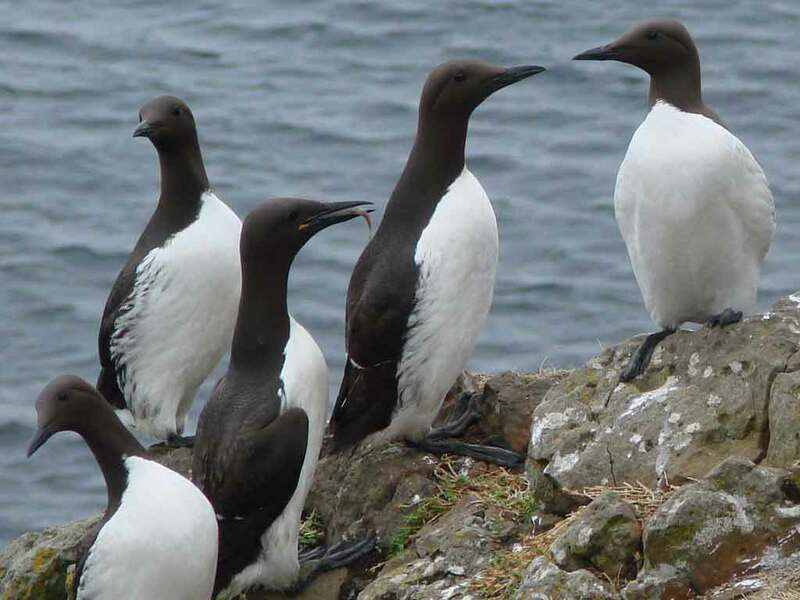 Atlantic Grey seals inhabit the waters surrounding the island, while birdlife includes Storm Petrels, Kittiwakes and Manx Shearwaters. 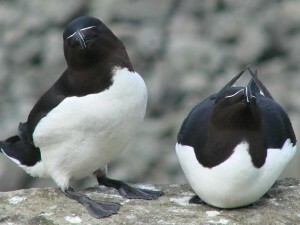 Guillemot, Puffin, Corncrake and Razorbills breed on Lunga and on the Harp Rock, a sea stack separated by a narrow gut. Barnacle geese appear each winter. Most visitors are attracted by the not-to-be-missed opportunity of having lunch with the 2,000-plus pairs of Puffins that breed on the island’s plateau of short turf. The popularity of this ‘Puffin Therapy’, where one can sit within a few feet of these iconic little Sea Parrots, remains as prevalent as ever. 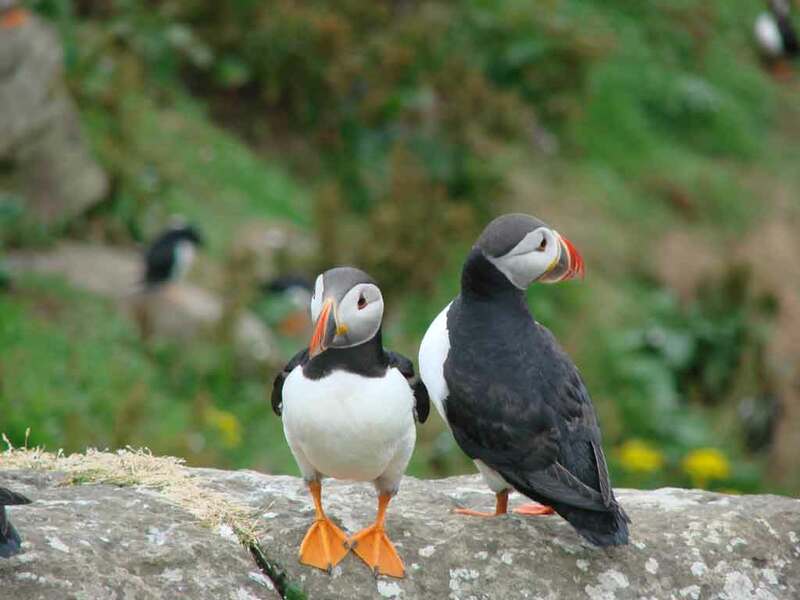 The Lunga Puffin population seems very healthy, but the local birds’ good fortune isn’t mirrored at some other colonies around the coast of the British Isles. Indeed, declining numbers elsewhere have prompted scientists to fit high-tec ‘Sat Nav’ devices on to the feathers of these comical little birds, in the hope of finding an answer to this mystery. 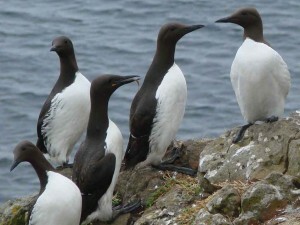 With concerns regarding reduced fish stocks and global warming, it is refreshing to know that these avian ambassadors to Mull and Iona are bucking a trend and increasing in number. These are the different tour companies offering boat trips to Staffa and the Treshnish Isles. 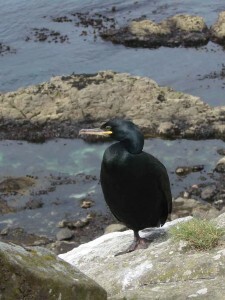 Nobody offers tours to Treshnish only. Click on the logo below to book.